When writing and offer most people only think of the offer price as the winning ticket. They think the seller is purely going to decide based on the highest price alone. While being a high price is important to sellers there are far more places where you can add leverage to an offer to get it accepted. When writing an offer creativity comes in big time when choosing the terms. 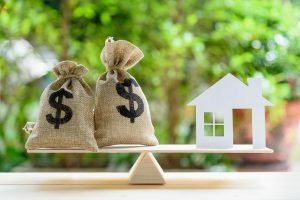 When offering on a home in a multiple offer situation it is important to stand out from the pack so let’s go over how to do that. One way to ensure your offer goes well received is when possible to reach out to the seller’s agent and ask what dates work best for the seller. As the buyer there is nothing better for your offer than for the seller to feel your willing to work with their interests in mind. Obviously as a buyer the dates you need may have to happen but when possible being flexible with the closing date can mean the difference in getting the property. If a seller has a reason to stay such as kids in school or a job that ends at a certain time, allowing them to stay till they need can make all the difference sometimes. Making a higher priced offer may not get chosen because they need more time. Another place an offer can stand out is in earnest money deposits. Putting more money down on the line when signing the offer or purchase and sales agreement tell the seller that you are more secure. As a deposit gets larger the seller feels the likelihood of you walking away from the deal is less and less. The good thing about this one is the difference costs you nothing! 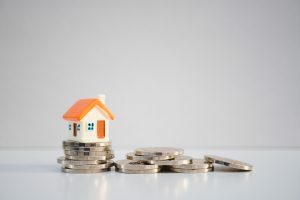 If you have the proper contingencies in place you are protected in the sale other than you just simply deciding you do not want the place and walking away. Home inspection is a place where sellers always cringe, especially when selling older homes. The strongest thing to do that can get an offer accepted aside highest price is to remove the home inspection. This is not always possible, and I never advise someone to do it unless they are financially secure and know what they are looking at. Sometimes when doing this people will bring a contractor they trust by the home ahead of the offer and basically perform a quick version of an inspection. While this can be risky this tells a seller that you are very serious about a property. 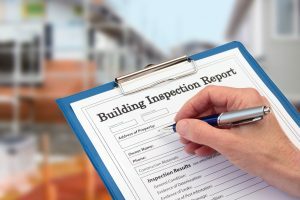 If dropping the home inspection is to much for you another option is to make the home inspection contingency only applicable if more work found is more than a certain dollar value. 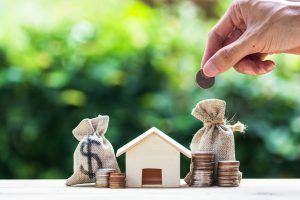 As a buyer you can write in that you will not renegotiate or leave the deal unless the repair work found at the home inspection amounts up to more than a certain dollar value. This tells the seller that you are not going to be unreasonable and ask for money back for a simple fix item or worse yet walk away over little issues. This is a strategy we commonly implement to help our buyers offers stand out. 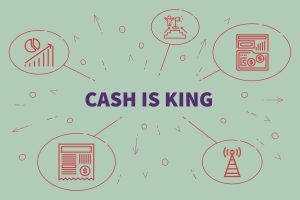 Cash is still king in this world. When using cash vs. finance this really can make an offer stand out. When accepting an offer that has a mortgage involved the mortgage contingency is added to the deal. This says that if the buyer can not get funding then they get to leave the deal and take their deposit. When using cash often buyers do not put any contingency for appraisal either. 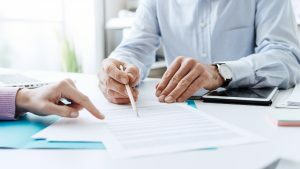 An appraisal clause says that if the property does not appraise at or above the purchase price then the buyer has the right to terminate the deal or renegotiate. This is why cash can be so powerful since the only way the deal can not happen are very limited such as the title coming back flawed. This means the seller can feel very secure in accepting the offer. Type of finance is something that comes into play often as well. With so many people using FHA, VA, and HUD loans it is easy to stand out by going conventional. Most people are confused and think conventional is only available to 20% down buyers. That is wrong there are many conventional programs reaching all the way down to 3.5% down. 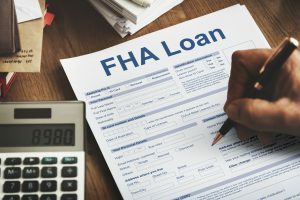 The reason the conventional lending is so much more powerful is the FHA, VA, and HUD loans come with a very strict appraisal process. These government backed loans require a lot of things from the home in order to get an approval. For the FHA, VA, and HUD there are a few simple items that can get your loan denied. Peeling paint is one of the most common. This means ANY yes any peeling paint on the home can get you denied and mean you or the seller needs to fix and then pay a fee to have the home re-appraised. Another thing they look at is outbuildings like sheds, garages, barns, and so on. This means the loan could get denied for a rotten shed or a bit of peeling paint on the garage. These types of things are common on most homes meaning it can be a tough process sometimes. Some other items that are looked at are the mechanical like the heat and water heater must work, you can not have floor coverings missing, and all stairs must have railings. While they offer great financing options sometimes choosing a better loan may help you get an accepted offer in a competitive market. 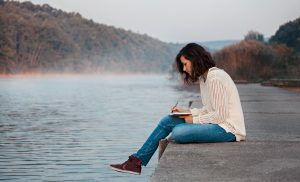 One other thing that has become more common than ever is to write a letter to the sellers stating why you, the buyer, want to buy their home. We suggest putting in details about what you like about the home and what you plan to do with the home. 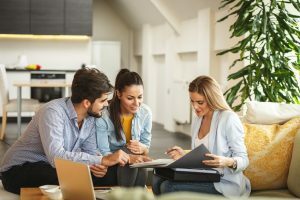 Paying attention to what the home sellers like about the home and highlighting that as well can score you some brownie points. With this letter we recommend attaching a photo or a few of yourself and possibly your pets this can help the seller feel an emotional attachment to you giving your offer a little more leverage. While the letter is never a must in order to win the offer we always suggest doing so. Writing an offer can be a very confusing process and takes a lot of knowledge. Working with one of our Move Mentors can help you get through this process and get an accepted offer. Movementum Realty trains all our agents on the ins-and-outs of writing an offer and how to get an offer accepted. Please reach out to us if you are thinking of buying a home we would love to help.